I got lost today. 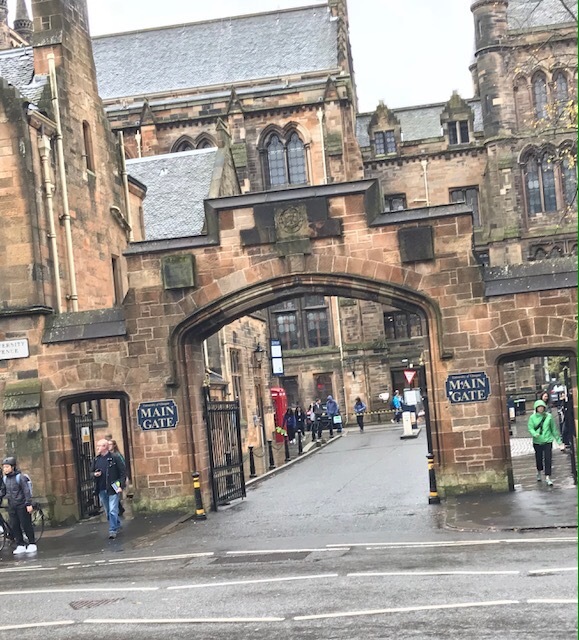 After visiting Glasgow University on the Weat End of the city I took a few wrong turns while taking pictures and suddenly realized that I didn’t know where I was. I pulled out my very scanty “tourist” map and tried to find my “bearings”. I was at the bottom of a large hill in what appeared to be a warehouse district. Looking around, I saw a familiar name on a directional sign and began to follow the directions. Still, nothing looked familiar. To make matters worse, what was a light sprinkle of rain became a steady shower. I pulled the hood of my jacket over my head and soon saw drops of rain falling off of the hood I front of me! 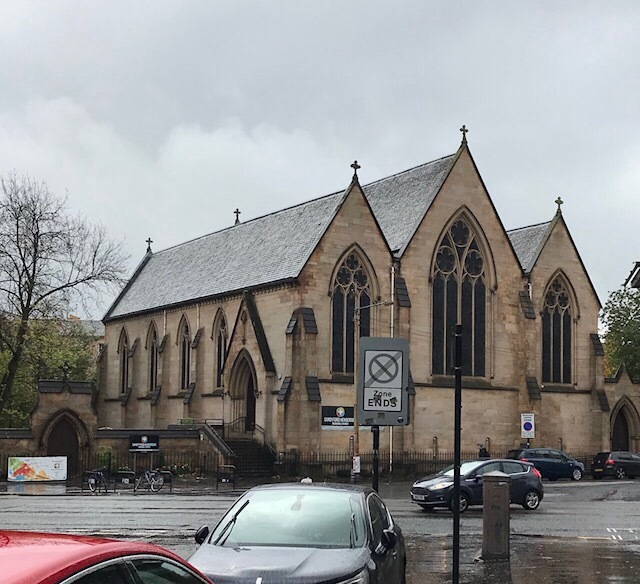 On the upper part of the hill, though, I looked to my right and saw a familiar site; the Sandyford Henderson Memorial Church of Scotland, the very place that I worshipped only a couple of days before! It was a welcomed sight! I finally knew exactly where I was and what I had to do next! When the Church is at its best it is a collection of people who have decided to take Jesus seriously. They encourage one another in both life and individual faith journeys. At its best the church is not a place of judgement but grace, not a place of “have to’s” but “get to’s”. It is a place of encouragement and love and acceptance enabling us to grow more and more into the image of Christ. Such a place, such a church, is a hint of the Kingdom of God and the very embodiment of a glimpse of grace. Lord, when I stumble and lose my way, help me find a faith community that will help me get my “bearings” again. And, Lord, help me be a mirror reflecting Your life-changing love seen in the life, death and resurrection of Jesus the Christ. Amen.